VT NightClub - chic pattern in dark tones on the musical theme from the popular design studio VTEM. This template has 5 color schemes, full support for K2 component and 38 modular positions that allow flexible and optimally placed all the items on the site. Pattern is characterized by fast-loading, code optimization gorgeous, comfortable commenting code files and support for mobile devices. 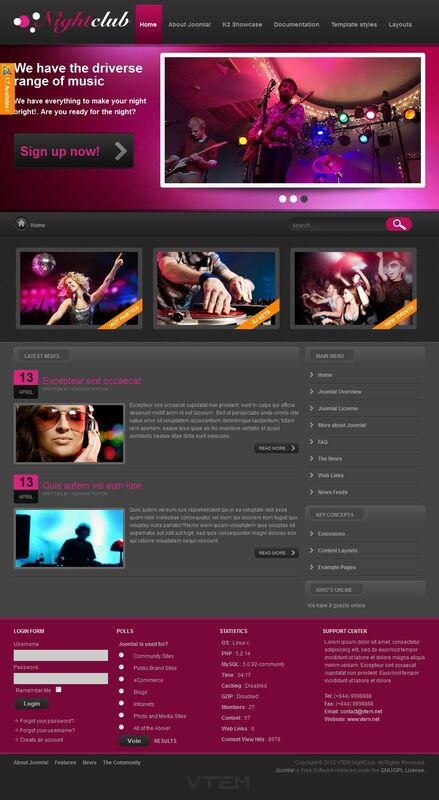 Thanks to its sophisticated design template is ideal for creating websites nightclubs.